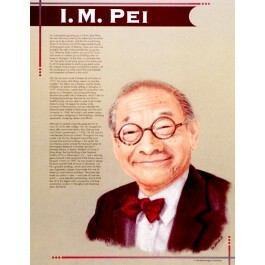 This educational poster of Chinese-American architect I.M. Pei features a striking drawing, along with a brief biographical summary. I.M. Pei was born in China, where his parents hoped he would be a doctor. But what he most enjoyed as a child, was watching workers put up buildings near his home. He came to the U.S. to study and eventually became a U.S. citizen. Throughout his career, he has designed some of the most unusual and exciting buildings in the world, including the stunning glass pyramid in the courtyard of the Louvre Museum in Paris. 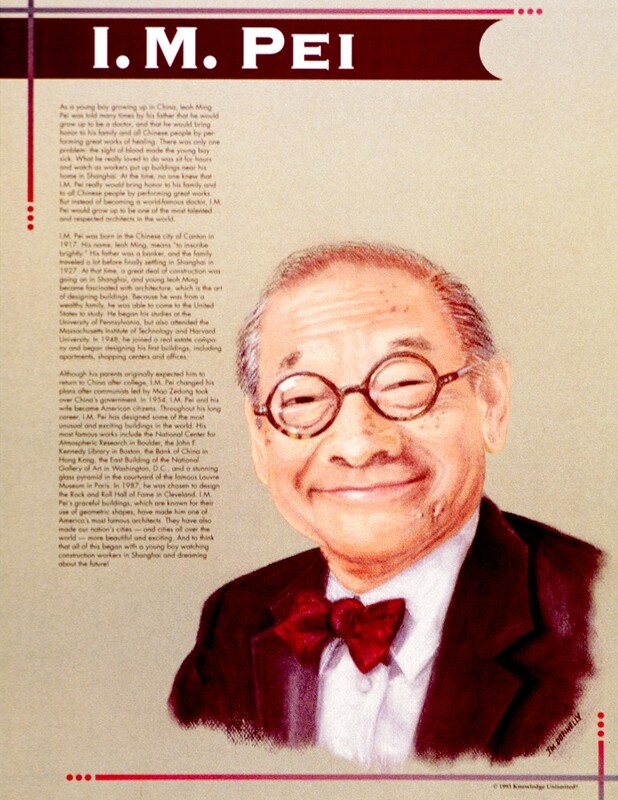 This poster is a great way to introduce students to this great Asian American architect.